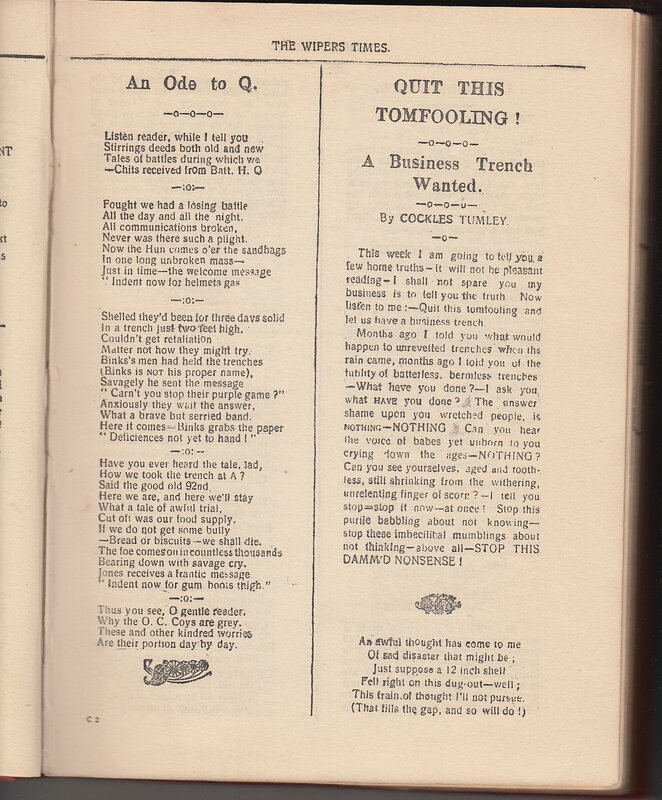 Yesterday’s Papers: Humor in the Trenches — STOP THIS DAMM’D NONSENSE ! 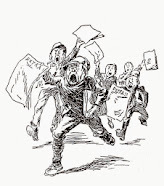 Humor in the Trenches — STOP THIS DAMM’D NONSENSE ! Herbert Jenkins Ltd. facsimile edition, 1918. Vol. 2, No. 4, March 20, 1916. Squib about the German Flammenwerfer or flamethrowers in Flanders. 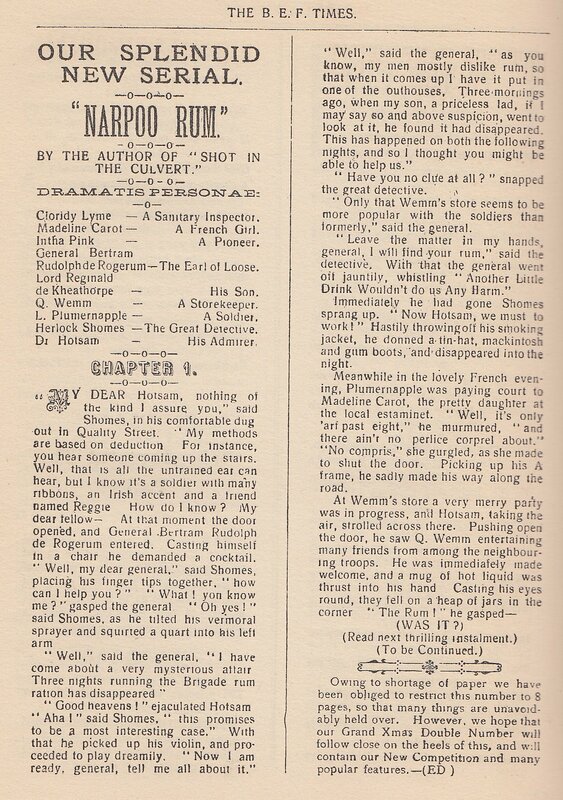 Herlock Shomes at it Again starts in The Wiper Times, Vol. 1, No. 1, February 12, 1916. 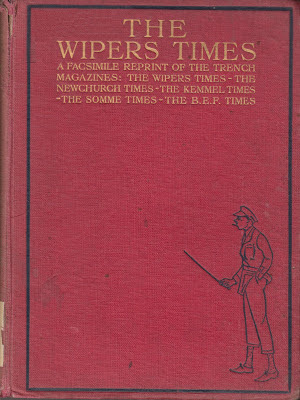 THE WIPERS TIMES was a title inspired during World War I by the name of the little Belgian town of Ieper (its original Flamish name) or Ypres (as the French and English spelled it) located in the battlefields in the province of West Flanders — West Vlaanderen. 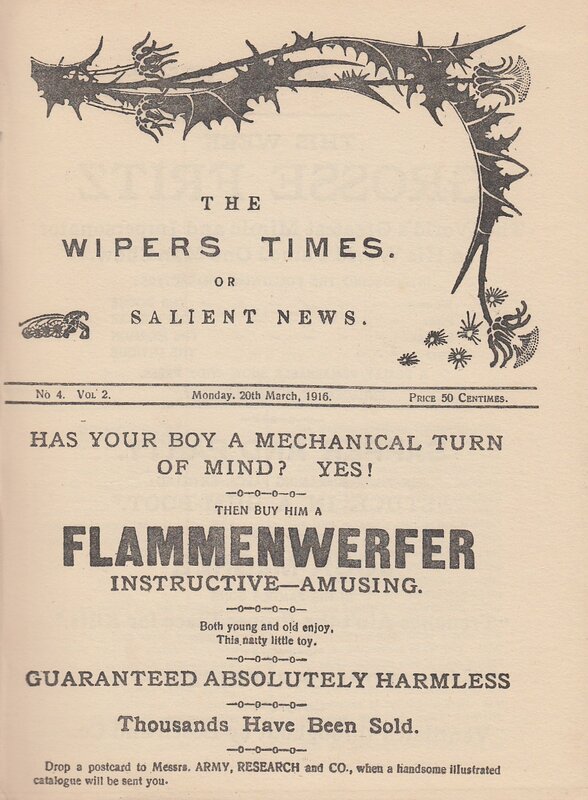 And ‘Wipers’ is how the British read ‘Ypres’. 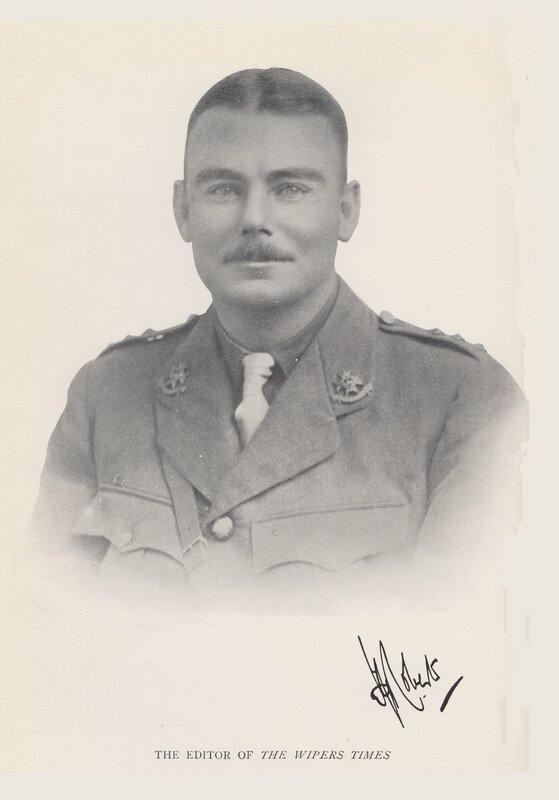 The editor was Lieutenant-Colonel F.J. Roberts, the sub-editor Major J.H. Pearson. 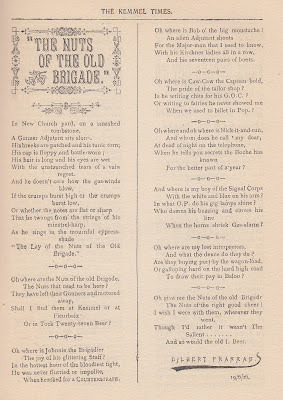 Poet and novelist Gilbert Frankau (One of Us and The City of Fear) was a contributor of prose and verse. 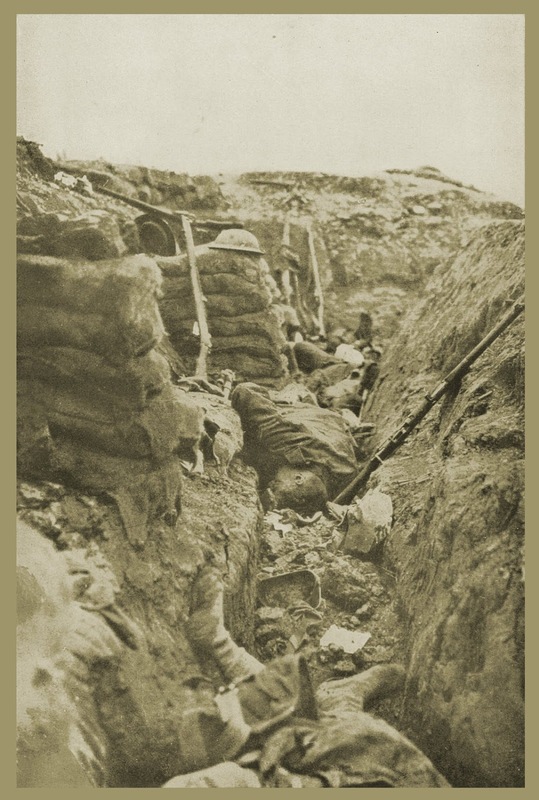 Playwrite Robert Cedric Sherrif (Journey's End) was another literary contributor. J.O. Twiss contributed drawings. Eveleigh, Nash & Grayson Ltd. facsimile edition, June 1930. 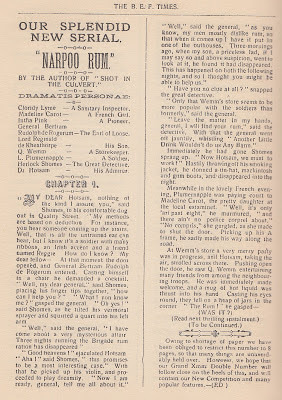 No.1, Volume 1, of The Wipers Times or Salient News, appeared on Saturday, February 12, 1916, Printed and Published by Sherwood, Forester & Co. Ltd., Ypres and Hooge, 12 p., price 20 Francs. 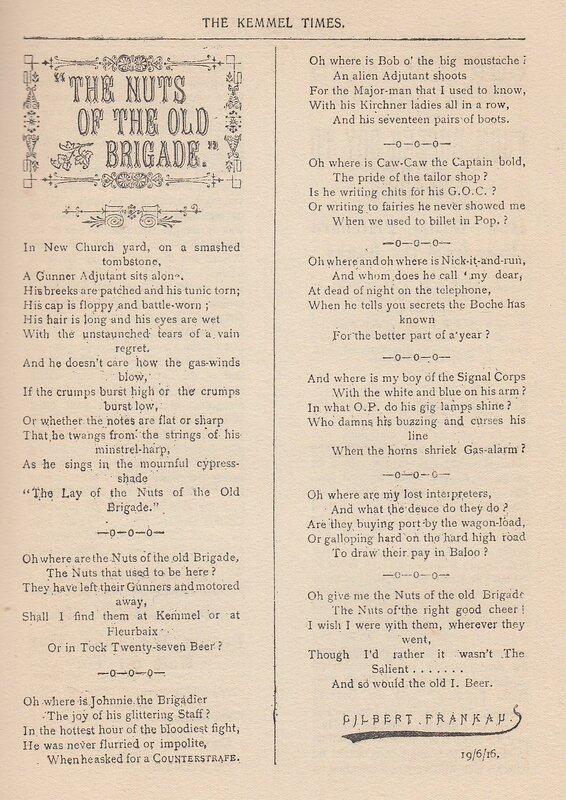 The paper consisted of parodic poetry, prose, columns, advertisements, and serials produced under the cannon’s mouth at different locations, under various title-changes, up unto Armistice Day, November 11, 1918. 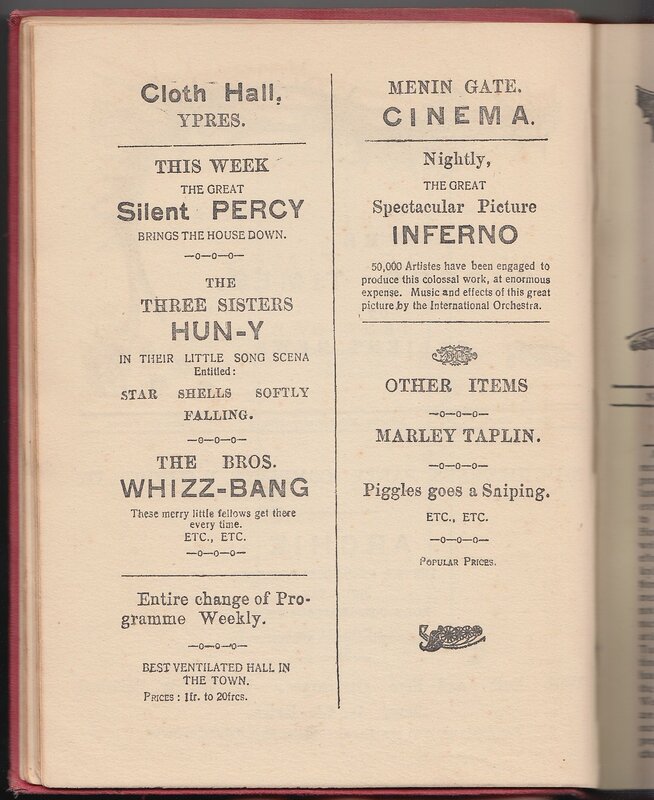 With every change of location and title the numbering would revert to ‘Vol. 1, No. 1.’ The fatalistic humor in The Wiper Times was a last laugh in the face of Death. A facsimile selection of the paper was printed and published in London as The Wipers Times and After by Herbert Jenkins Ltd., in 1918. Another London published facsimile, the first complete edition of The Wipers Times, appeared in June 1930 under the imprint of Eveleigh, Nash & Grayson Ltd. and was a popular seller at home as well as in North America. 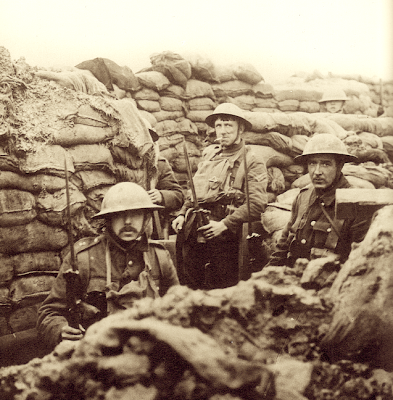 A third facsimile, The Wipers Times – a complete facsimile of the famous World War One trench newspaper, was published by P. Davies in 1973. Finally The Mysterious Bookshop published the Herlock Shomes at it Again serial in 1999 at twenty pages. 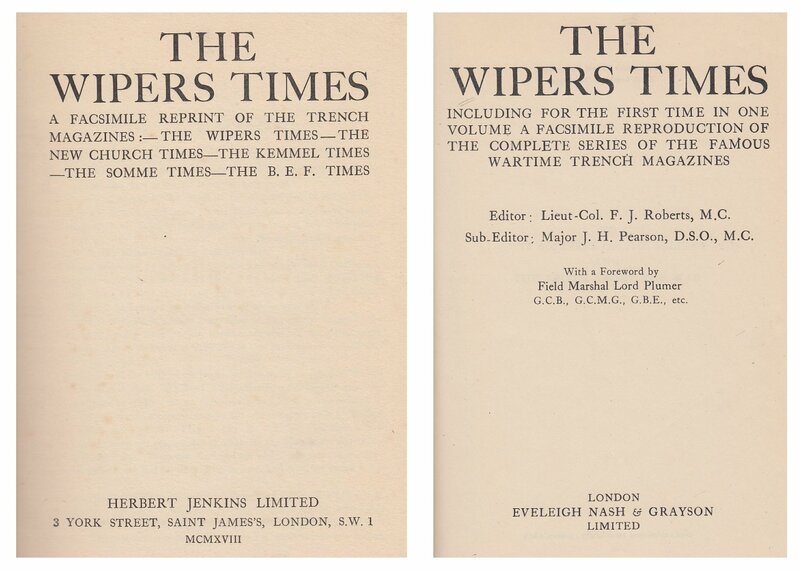 Titlepages to facsimile reprints of The Wipers Times, 1918 and 1930. ‘My best trousers — where have you hydenham? He consigned me to regions infolonel. Whose dug-out was ‘bon’ (which is French). 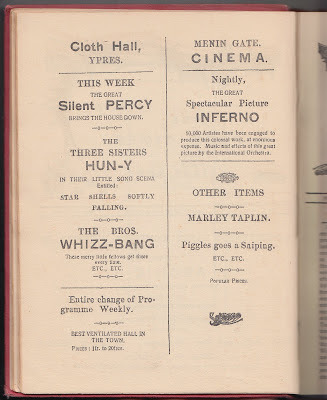 It’s tempting to speculate on whether Spike Milligan, writer and comedian on the famed Goon Show radio program, born into a military family, was familiar with the slangy satire and wingnut wordplay of the Wipers Times. Milligan was a great influence on the cast of Monty Python’s Flying Circus and the prose writing of Beatle John Lennon. To bring us full circle the BBC recently announced HERE that Python member Michael Palin is to star in a brand new BBC Two TV drama about The Wipers Times this year. The show is after a script from Private Eye editor Ian Hislop and writing partner Nick Newman. The cast includes Michael Palin, Ben Chaplin, Julian Rhind-Tutt and Emilia Fox. Lieut-Col. F.J. Roberts, M.C. — editor of The Wiper Times. 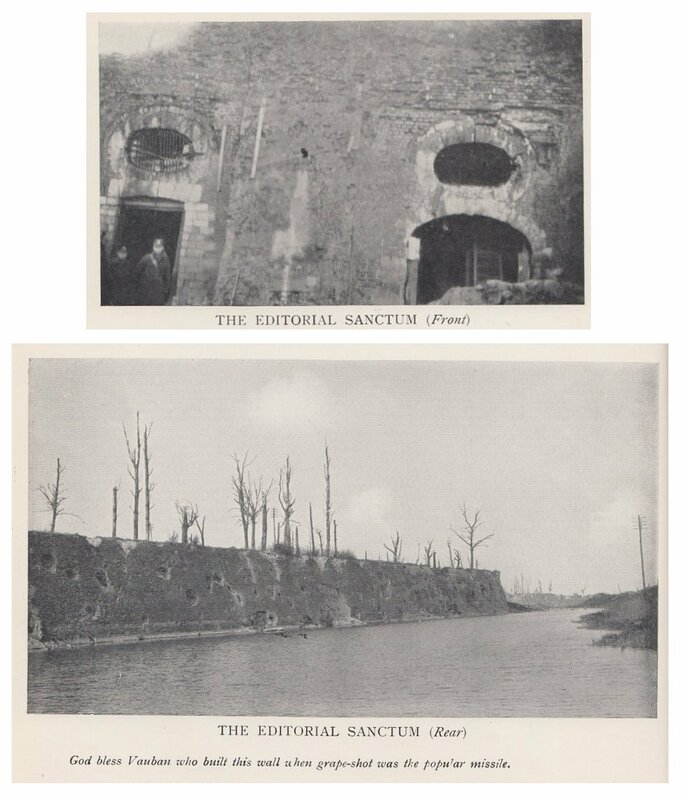 German trenches — photograph from Das Antlitz des Weltkrieges, 1930. 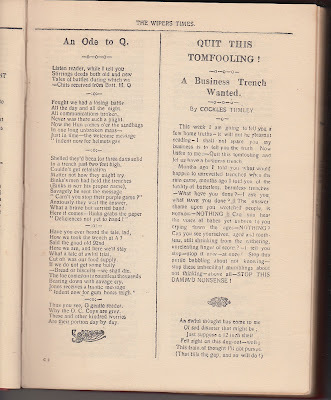 Do you know of any later Facsmile copies published similiar to Herbert Jenkins 1918 orginal. It would be something I imagine many people would be interested in seeing /owning especially in th light of Mr Hislops BBC drama? 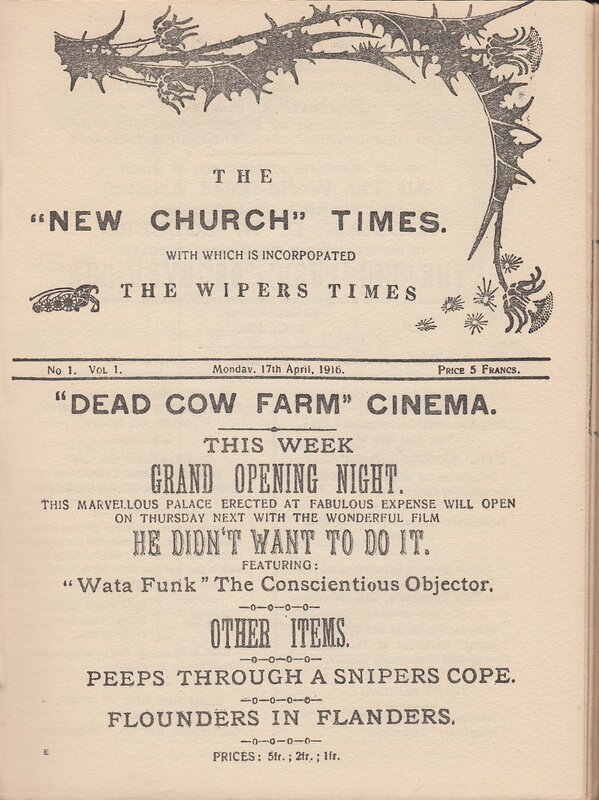 Can anyone point to any articles on what became of the men of the Wipers Times? It said at the end of the BBC drama that one of the officers went to North America to prospect and died in '64 and the other moved to South Africa (I think). 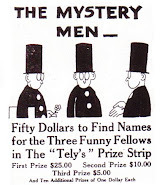 I would be very interested in knowing more about these chaps.